Marketing “automation” is more than just sending out email marketing newsletters every month. Sure, that’s a useful way to drive traffic to your website and get people to read your content if they missed it at the time of publishing, but it can do much more than that. By using software developed specifically for managing customer relationships, you can maintain regular communications with your prospective clients, send them special offers and promotions and track what they’re interested in and what they’re ignoring. generating reports that help you to analyze which marketing efforts are delivering the best results in terms of new business. Setting up a marketing automation program to deliver home building leads for your company can be done in several ways. You can use CRM software available from companies such as HubSpot or Salesforce, but you’ll need to undergo some training in how to set it up and work with it. You can use free programs such as Leadsius or Sales Autopilot, but if you want the advanced functionality you’ll be required to upgrade to the paid version. You can DIY, which usually means a manual system involving creating emails and maintaining spreadsheets. It’s doable, but labor- and admin-intensive and the reporting might not be perfect. Or you can outsource to a marketing agency that offers comprehensive inbound marketing services. Watch the video below to better understand the different types of leads you'll find in your business and how you can best nurture each lead to become customers. 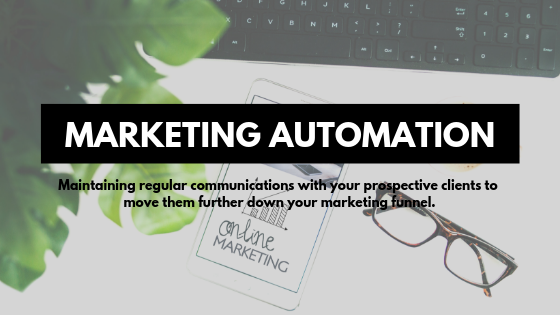 Marketing automation can help you to generate and even nurture solid home building leads, but it can’t provide estimates and proposals for you. Only you can do that part. You have to utilize your tools, including marketing automation if you're going to get the most out of them and land the most deals.